Submitted by admin on 29/03/2019 - 13:48. You still don't know how to use your leisure time as an Erasmus student in Split? Check out Croatia's coastline , most popular island places of the Adriatic Sea. Holidays on Dalmatian islands have always attracted a large number of tourists around the world. On these islands you can enjoy the escape from everyday crowd and noise, an oasis where you can recharge your batteries and complement your life experience in Croatia. Dalmatian islands can boast many natural beauties, beautiful beaches, lush vegetation and crystal clear sea. In short, you chose the best place where to spend summer semester. If you want to see Marbella or Mykonos in Croatia, it's right here. Hvar has over 2700 sunny hours a year. This island of rays, sun and shrubbery, lavender island, sage, cultural and natural monuments, wine and rosemary island with clear sea is one of the most popular tourist destinations in Croatia. It's also prime spot for nightlife, celebrity and luxury yachts. The town of Hvar is perhaps the most beautiful place on the island, has the oldest public theater in Europe from 1612, the summer residence of Hanibal Lucić. As well is Jelsa, such a place with a gorgeous beach and nature. If you are an adventurous type, you can take a water taxi and go to the Pakleni islands nearby. This big island lies 50 minutes ferry journey from Split. It is the largest island of Dalmatia. Clean water and pine forests, makes Brač an inevitable tourist destination. The famous Zlatni Rat beach near Bol is included on the list of the most beautiful beaches in the world, first reason why you should visit it. Also there is the mountain Vidova gora (778 m) from where is an unforgettable view of the Adriatic Sea and the other islands. Brač is a favorite destination for young people so fun on this island never stops. One of its leading qualities is the abundance of flora and fauna. Brač is definitely an island where you can have everything you want during your summer in Croatia - there are plenty of corners for peace and solitude, popular activities like surfing, scuba diving and searching for hidden beaches, as well as a great offer of entertainment and fun. Small Mediterranean places on the island are Bol, Supetar, Postira, Sutivan and Milna with hidden coves and beautiful beaches. Korčula is the most populated Croatian island. 'Little Dubrovnik', as the island often names, is an old city known for its unique architecture. Its one of the main tourist attractions is the house that allegedly was born Marco Polo. One of the most beautiful buildings on the riverside is certainly the cathedral of Saint Mark. You can visit the Marco Polo house and museum, try local wine tasting or simply relax on the islands beaches. The largest cities on Korčula are Vela Luka, Blato and Korčula, which you must visit. If you come to this island of rich traditions, various cultural sights and beautiful sandy and pebble beaches we are sure that your cultural experience in Croatia will never be forgotten! Unspoiled nature, breathtaking beaches, amazing underwater world, rich history and delicious local cuisine could easily convince anyone this place really is paradise. Because of its isolation, it retained the originality and lifestyle typical of the fifties of the last century, and tourists attracted the slogan "Mediterranean as it once was". The crystal clear sea, the secluded beaches and the historic core as well as the preserved nature are there to impress every tourist crossing this ground. It has one of the top beach in the Europe – Stiniva beach - small bay hidden from the view of passing boats, framed by the high cliffs which give it a mystic atmosphere and a paradise-like feeling! Also Vela Smokova – sandy, crystal clear beach next to which a Second World War airplane wing can be seen. There are similar sights all around Vis which makes the underwater world more interesting. Nature lovers will love the well-preserved nature and ecological attractions of this island. Komiža is the main town, with small narrow streets, beautiful stone houses and surrounded by beaches around its harbour. You will love it for sure! Also, there is a town Vis where You can see town walls, the remains of the old town’s streets, thermae, antique theatre etc. A cultural uplift indeed! Choosing Šolta means choosing the return to innocence and the authentic island life which is illustrated by the tourist board's motto. It is an island of handmade olive, wine, figs and honey, ideal for boaters, families and also for students who seek escape from stress. The island of untouched nature, beautiful bays such as Šešula, Zaglav Garma, Punta or Veli Dolac... and places as Stomorsko, Maslinica, Rogač and Nečujam, are worth visiting. You'll love Šolta if you like nature, diving, sailing or riding bikes. The most popular diving locations are the bays of Livka, Stračinska, Senjska on the northern side of the island, but don’t forget to explore the Piškeri bay next to Nečujam where you'll find the remains of a fish market built by the Roman emperor Diocletian. Cheap to visit but priceless for the soul. 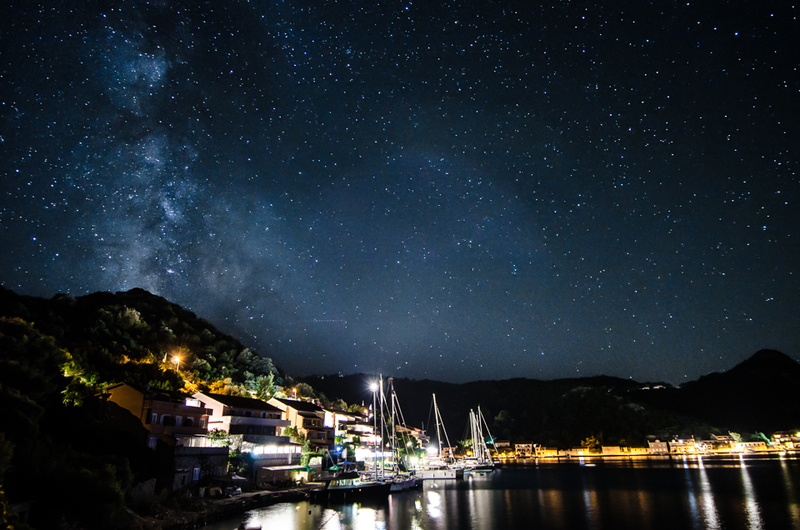 For those who want more, there is one more island as beautiful as these islands or even more - island Lastovo! It'sa place with the darkest night sky on entire European continent, so make sure to be there for Perseids on 12th of August! Where to find Ferry port? Get in the city bus number 9, 10 or 15 – and exit at the bust stop after bus station/ferry port. Make Your Erasmus experience rich!